I made this to see if I could..and it worked! 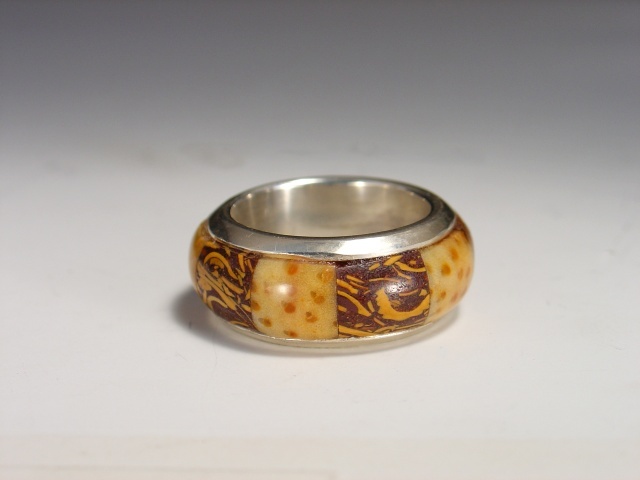 It's fabricated from sterling silver and the stone inlay consists of alternating palmwood and Indian Writing Rock jasper. The ring is thick, and probably most comfortable on an index finger or thumb. It's about 10mm wide.